In the middle of Groningen's market square the neoclassical town hall by architect Husly rises up. 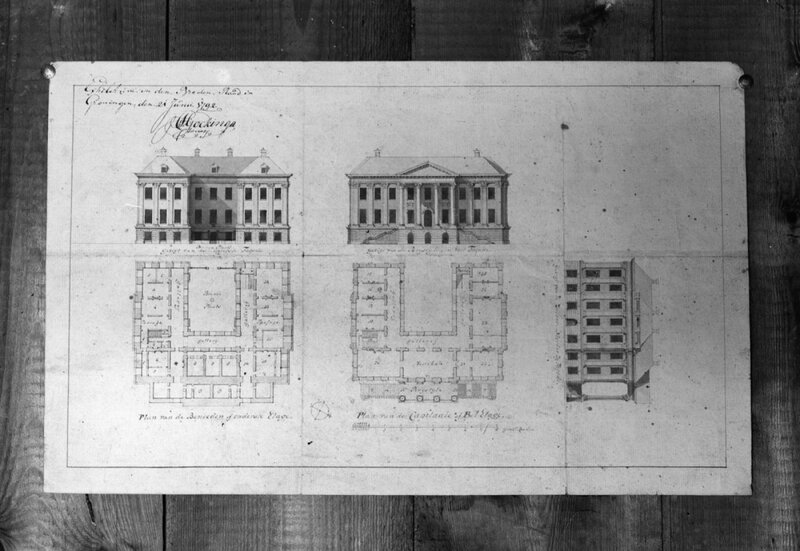 The building, designed in 1775 and completed in 1810, will enjoy a thorough overhaul over the next few years. 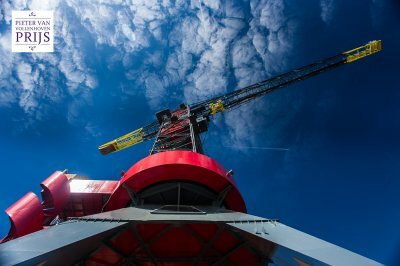 Major repairs are due and the national monument has to be made earthquake resistant and more sustainable. Furthermore, to allow for the expansion of the city council in 2018, the council hall must be enlarged. The fourth floor, where the political party offices are located, also needs renovating and more room is required for extra workstations. 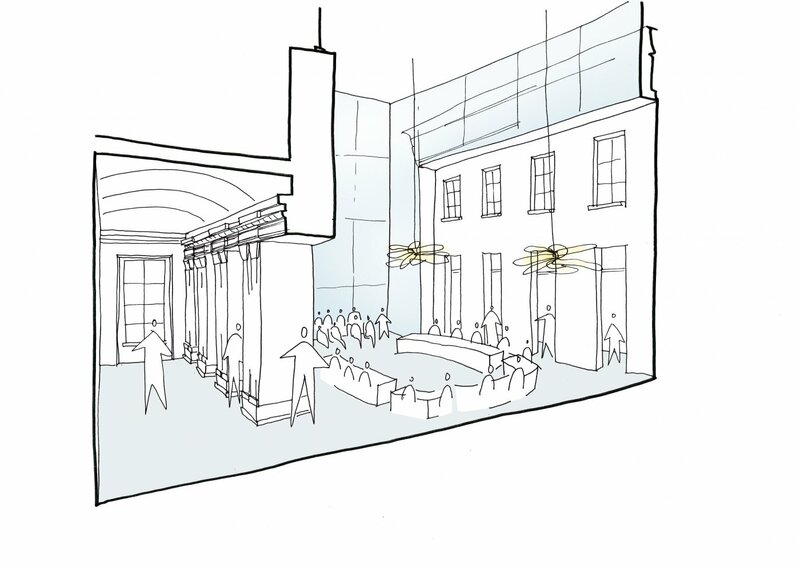 With this renovation, the city council wants to emphasise the role and place of the town hall in the city. 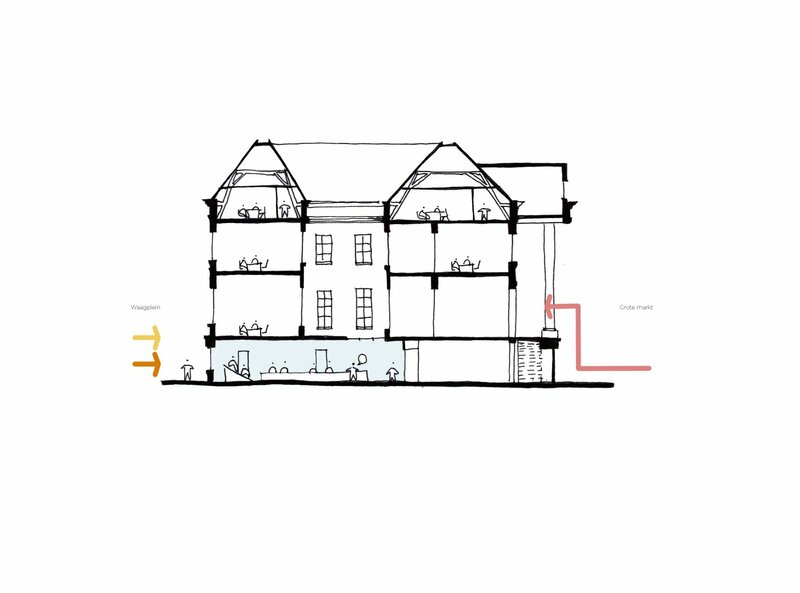 These should be reflected in the appearance and functional use of the building, both in the interior as well as the exterior. It should look and be accessible, inviting and representative. 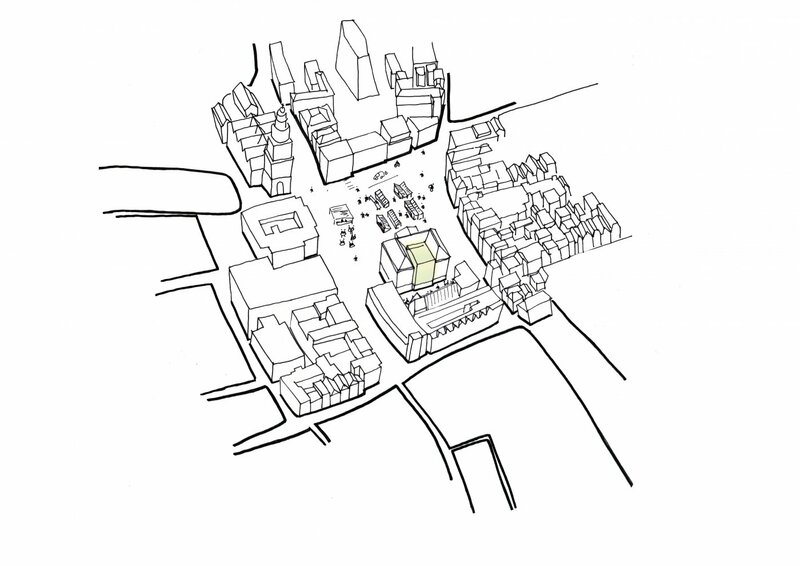 In 2016, three architectural firms were asked to present ideas in a design study into how to improve both the council's and citizens' use of the town hall. 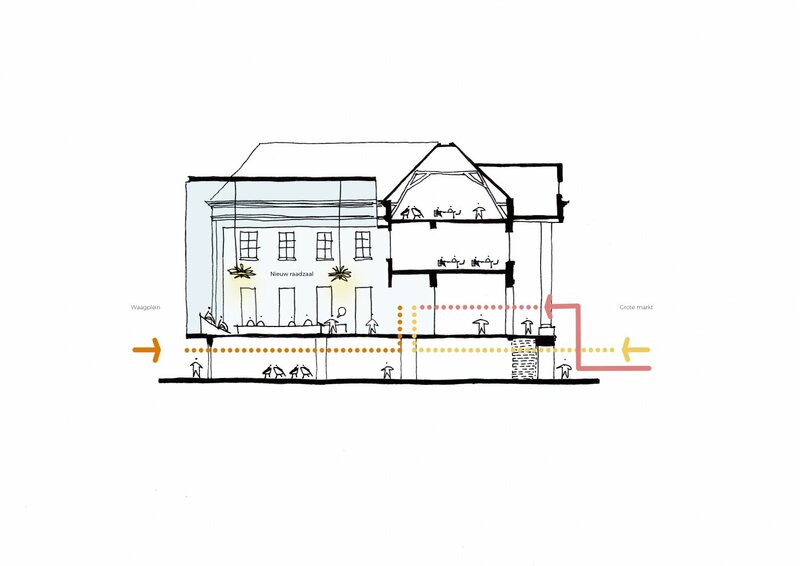 Architectural firm Fritz researched the scenario Restoration (taking into account the building's historical context). 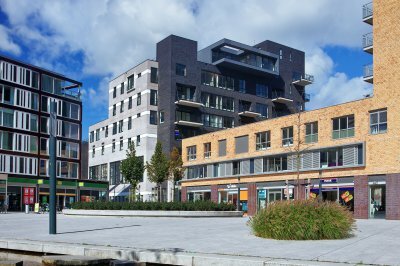 IAA Architects researched the scenario Makeover (redecorating and refurnishing the interior) together with Merk X, while Happel Cornelisse Verhoeven Architects took a close look at the scenario Complete (a new outlook on the building and its functionalities). 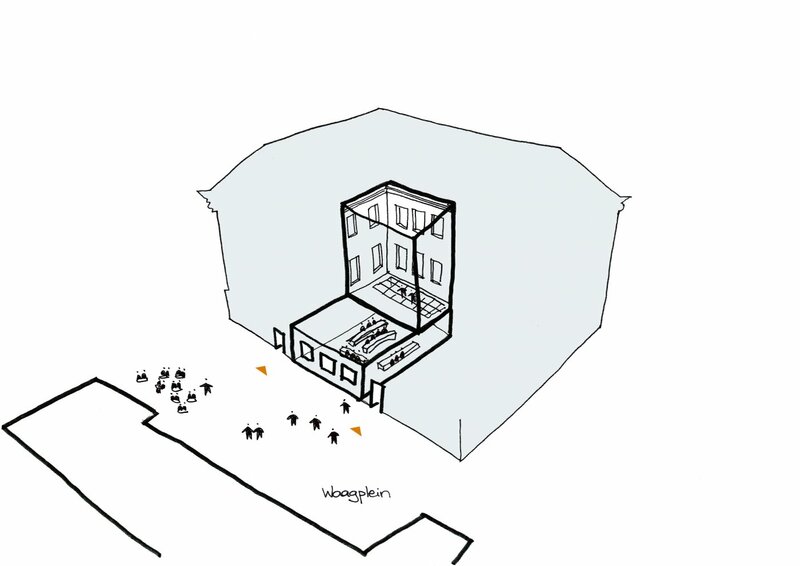 In the Makeover scenario, we researched possibilities for a better use of the building from an interior perspective. The starting point was our view that interior design is a form of architecture and good interior design can only be established within good-quality architecture. 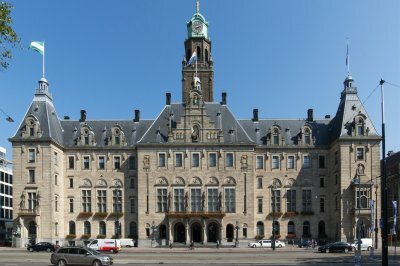 The Groningen town hall is a proud and staunch building in the most beautiful location of the city. But as a closed fortress, it does not seem very accessible. When the building was converted in the late 20th century, we feel some rather unfortunate choices were made. The council hall is now situated in a dark space on the ground floor and it is low ceilinged and stuffy. The courtyard is covered and is momentarily used as a smoking area. 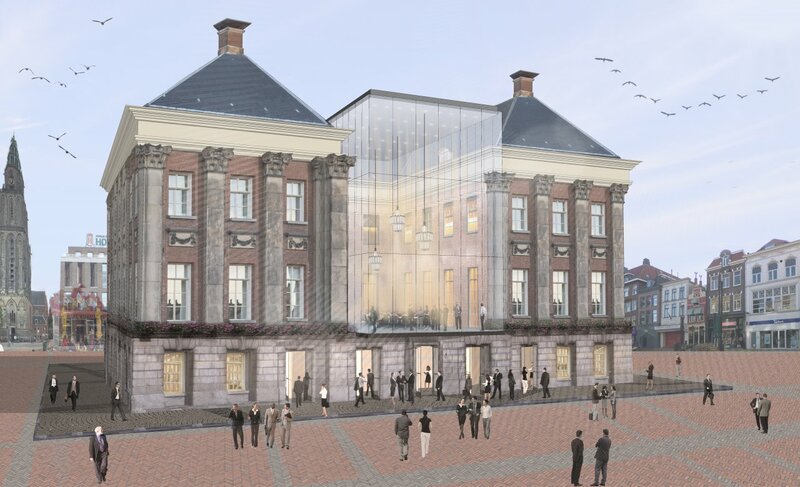 In the Makeover scenario, the council hall becomes the beating heart of both the town hall and the city of Groningen because it matches the original design from 1792, in which Husly designed a U-shaped floor plan at the administrator's request. We believe it is possible to return to this version and we then want to use the emerging opening to build a new hall on the main floor that can function as council hall, citizen's hall, reception hall and festivity hall. This hall would also fit in with the current political system and views on public administration as it will be transparent, communicative and visible to all citizens. 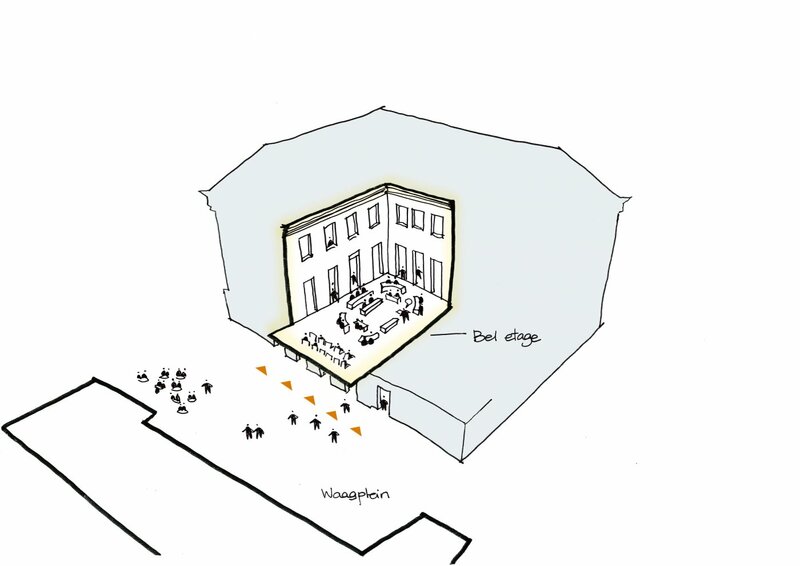 On Friday 11 November, Groningen's city architect presented the first findings of the design research in the town hall, together with three associated architects. The documentary that was made about this can be viewed below.